Ring News 24Boxing NewsHas Regis Prograis Stamped Himself as future opponent for Garcia/Lipinents and Ramirez/Iman winners? Has Regis Prograis Stamped Himself as future opponent for Garcia/Lipinents and Ramirez/Iman winners? 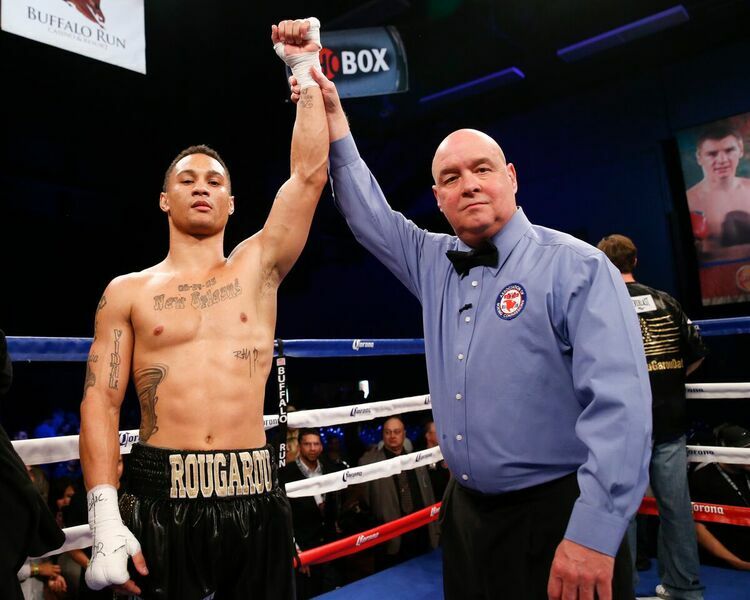 On Friday night, March 9, in Deadwood, South Dakota, undefeated junior welterweight contender Regis Prograis continued his rise amongst the boxing ranks with an electric second-round knockout over former unified world champion Julius Indongo. The bout was aired on SHOWTIME and with the win, Prograis (21-0, 18 KO’s) captured the vacant WBC world title. Prograis could now likely face the winner of next week’s Amir Imam vs. Jose Ramirez matchup for the currently vacant WBC world title belt. That match is set for Saturday, March 17 from the Madison Square Garden Theatre in New York, to be aired on ESPN. A native of New Orleans who now calls Houston, Texas, his home, Prograis has been collecting some impressive wins prior to Indongo, besting the likes of then-previously unbeaten prospects Amos Cowart, Abel Ramos, and Joel Diaz Jr. The smashing of Indongo, his most accomplished foe to date, only further heightens things for the brash 29-year old. Bold statement from Prograis. You would have to figure if he does end up facing the Ramirez vs. Iman winner, that he will have another nice test in front of him. But you can’t blame his confidence, as he was able to dispatch Indongo in quicker fashion that one of the game’s top stars, former junior welterweight champion Terence Crawford, who stopped Indongo this past August in under three rounds. With the win, Crawford collected a multitude of belts and was wisely looked at as the man to beat at 140 pounds. But the Omaha native is now moving up in weight, as he will challenge WBO welterweight champion Jeff Horn on April 14 in Las Vegas, Nev. For the WBO welterweight title. This leaves an opening at 140 pounds at Prograis could be the man. Prograis is a sharp fighter with an unorthodox and dangerous style, as evidenced in how he dismantled Indongo (22-2, 11 KO’s). In the final seconds of the first round, Indongo was decked tot he canvas from a stiff jab from his younger foe. In the second, Prograis continued to attack the taller Indongo, flooring him with a huge left hand that looked like it may end the bout. Indongo rose, only to be stampeded and dropped for a third and final time moments later. Just like that, the bout was over. Watching the action from ringside, SHOWTIME analyst Steve Farhood gave his praise. “It was an awesome performance,” said the revered boxing historian Farhood. “I was surprised he finished Indongo as quickly as he did and as emphatically as he did. Mikey Garcia, the three-division champion from Oxnard, Calif., could emerge as a great foe if he can defeat IBF junior welterweight champion Lipinets tomorrow. Prograis has expressed interest in that clash in the future and the building blocks are already in place. Can Stephen Simmons win the Lonsdale Belt?